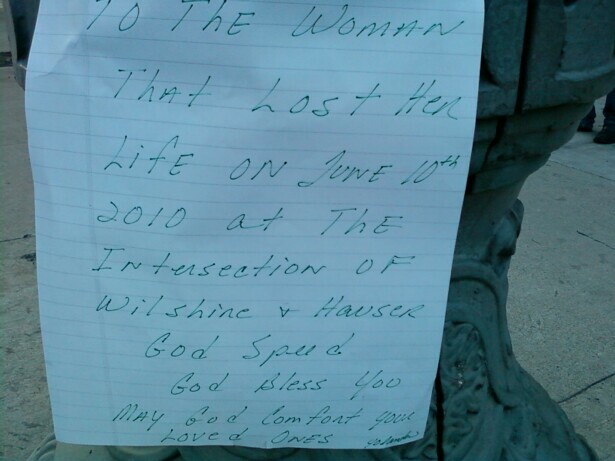 I have sad news to report -- a woman crossing the street in the 600 block of Hauser Boulevard at Wilshire Boulevard was struck and killed by a Ralphs grocery store delivery truck making a turn at around 1 p.m. 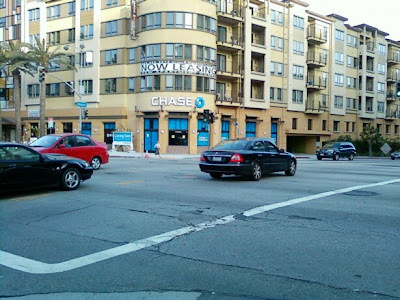 In a separate incident earlier today a homeless man was struck and killed by a Cadillac Escalade in Hollywood after walking into the middle of the 2700 block of Cahuenga Boulevard, just north of the Hollywood Bowl. Please, please, please be careful out there. 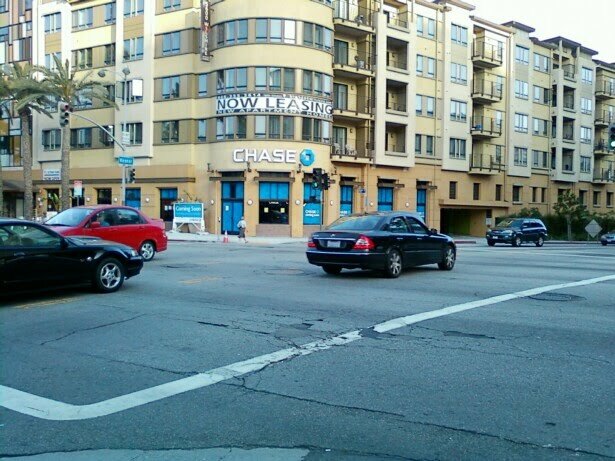 Pedestrians and bikers need to always be aware of their surroundings and be extra careful when crossing L.A.'s busy intersections. And drivers need to do the same -- slow down in intersections and look out for pedestrians and bikers. This city was built for cars, but there are more people walking and biking all the time. This is a recipe for disaster. 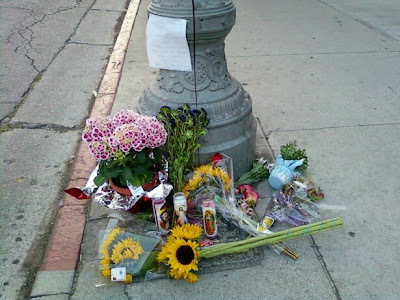 Until Los Angeles builds more of a bike and pedestrian infrastructure and makes its intersections safer for drivers, walkers and bikers, then I'm afraid there will be more tragic days in the City of Angels like what happened today. 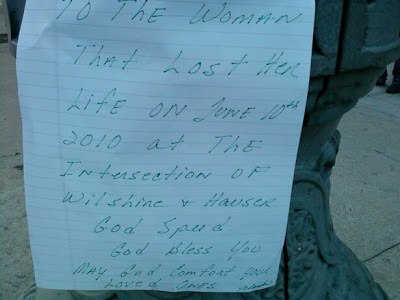 While nothing could have prevented a disturbed homeless man from walking into the middle of a busy street, the woman killed was likely preventable. 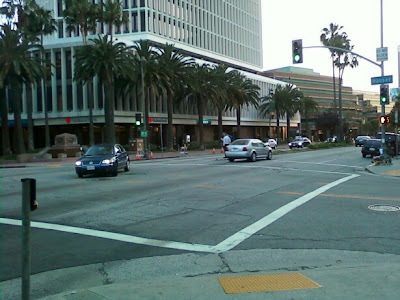 I've been almost hit a couple of times walking and biking down Wilshire Boulevard in the Miracle Mile. Many drivers do not pay attention when they are approaching intersections -- they are talking on the phone, blasting their radio or in a hurry. Maybe L.A. needs to install big orange signs stating "BE CAREFUL, PEDESTRIANS CROSSING" at every intersection in the city. Or maybe flashing LED lights embedded in crosswalks might do the job. I'm not sure what the exact answer is. Maybe it is simply educating drivers, pedestrians and bikers on how to share the road. Click here for the full story on the Los Angeles Times website. Update: There is a nice memorial at the scene with flowers and notes. Here are some pictures I took a few days after the tragic accident.